Trying once again to ban plastic bags in California. It looks as if Gov. Schwarzenegger is taking a final stand to terminate plastic bags in California. He is calling on legislators to reconsider a ban on single-use plastic bags that they shot down a few months ago. It had seemed like a sure thing until last minute pressure reversed this important measure. If you live in California, or know someone who does, you can use this link to send your representatives an email asking them to reintroduce a ban on single -use plastic bags at grocery stores. Los Angeles county recently adopted such a ban and San Francisco has had one since 2007. In California 19 billion plastic bags are used each year and many wind up in the ocean, and they float around for 500 years. You can read more about the effects on the ocean from plastic here. So let’s all do what we can to let California legislators know that we support this ban to clean up our precious planet, that we are ready to take more responsible action and that we expect them to do the same. On this same note the U.N. Cancun Climate Conference began on Tuesday and many of us are hoping that we see more progress than we saw at Copenhagen. Our friends at Ecoversity have great information on the conference that you will find here. You can also visit the official COP16/CMP 6 website where you will find updates on all of the events as well as a chance to read documents and see press briefings. I will also have more news over the nest week on events at Cancun. Climate change is something that we all can help to reverse but perhaps most important is letting our political leaders know that this is something we care about deeply and want to see them taking action on – we can no longer afford to let special interests control this debate for their short term profits. We all lose if we do not reverse global warming. Perhaps more than any other issue global warming shows how connected we all are sharing one planet. Unfortunately the countries contributing the least to greenhouse gases are the ones feeling the effects first. 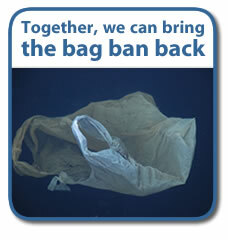 The plastic bag ban in California is a step in the right direction so let’s do what we can to make this happen. Once again here is the link to let California legislators know Californians want this.